In today's environment, technology and customer tastes change fast. Oftentimes, when companies run idea challenges or ideation workshops, ideas lack inspiration and often feel like they'd be more at home in the 20th Century than in the fast-moving, connected world of today. 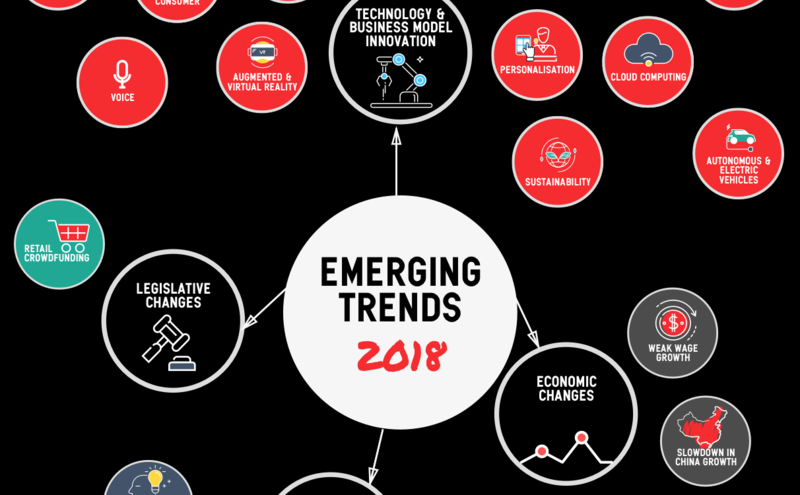 That's why we've done the work to present some of the key emerging technologies, business models, customer behaviours, economic and legislative changes that are likely to affect your organisation in one way or another. Share this concise and simple one-pager as part of your next ideation session to help people not only come up with better ideas but ideas that are transformative, current and can help your organisation identify and respond to these changes not as threats but as opportunities.